Nissan sold 14,523 vehicles last month, that’s 26.7 % percent more than total sales in March 2016. Better yet, total sales year-over-year have increased by 3.0 % when you compare the period of April 1, 2016 to March 31, 2017 to the same period from 2015 to 2016. 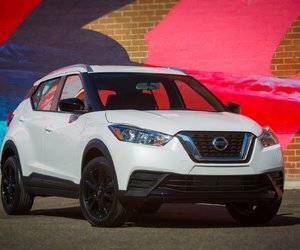 Nissan's best-selling vehicle in Canada - the Nissan Rogue crossover - set an all-time monthly sales record at 4,888 - an increase of 63.3 per cent. The Pathfinder sport utility vehicle set a new all-time sales record at 1,185 units, an increase of 10.4 per cent. Sales of the TITAN full-size pickup truck totaled 722, its best month on record and an increase of 307.9 per cent. The Armada flagship sport utility vehicle set an all-time record with 126 sales, up 72.6 per cent. Sales of the LEAF fully-electric vehicle set a March record at 144, up 46.9 per cent. The Murano crossover set a March record at 1,281, up 0.9 per cent. The NV200 compact cargo van also set an all-time sales record at 305 units, an increase of 35.0 per cent. 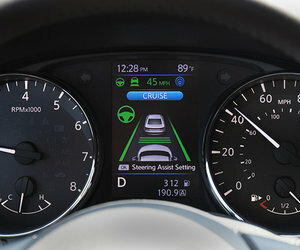 Nissan Versa Note hatchback finished the month up 63.6 percent, with sales of 1,034. Sales of the Sentra subcompact climbed to 1,750, up 14.1 per cent. To learn more about Nissan’s lineup of all new vehicles, contact us today at Stadium Nissan!